Trump's visit to Paris, season's first snowstorm, grim search for victims of California's blaze, and more. 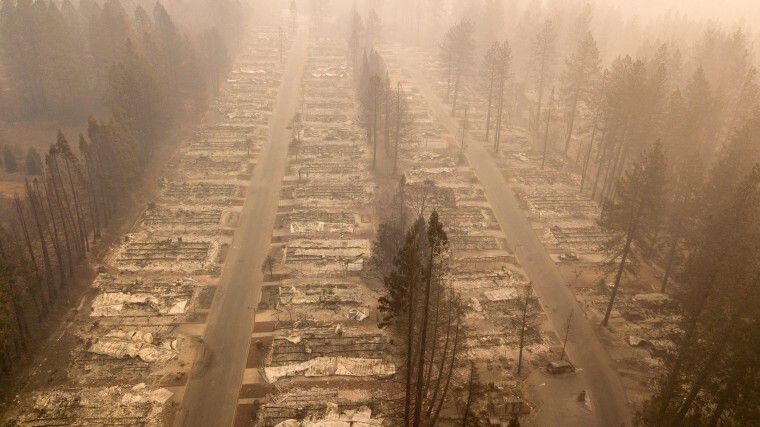 A burned neighborhood in Paradise, California, on Nov. 15, 2018. Authorities made public a list of 297 people still unaccounted for Wednesday night as they announced that the number of people who had been killed in the deadliest wildfire in California history had grown to 56. 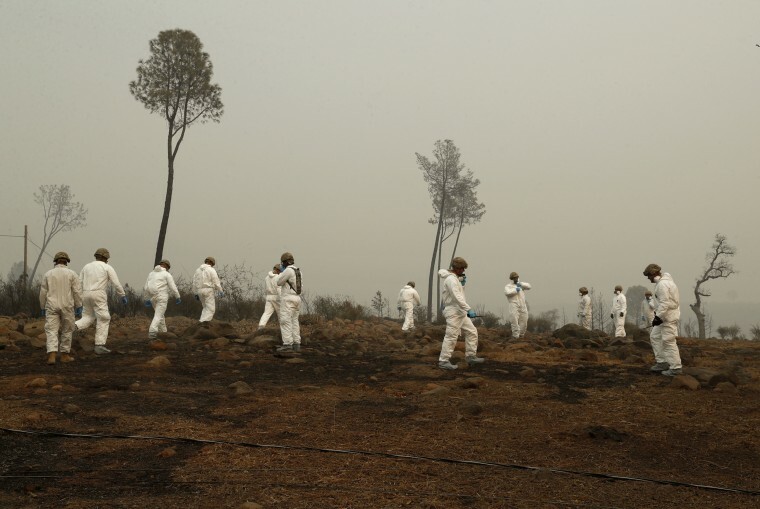 Members of the California Army National Guard search a property for human remains in Paradise on Nov. 14. Belated warnings from public officials and the reluctance of residents who had survived previous fires to leave home were among the factors that contributed to the delayed and chaotic evacuation, survivors said. 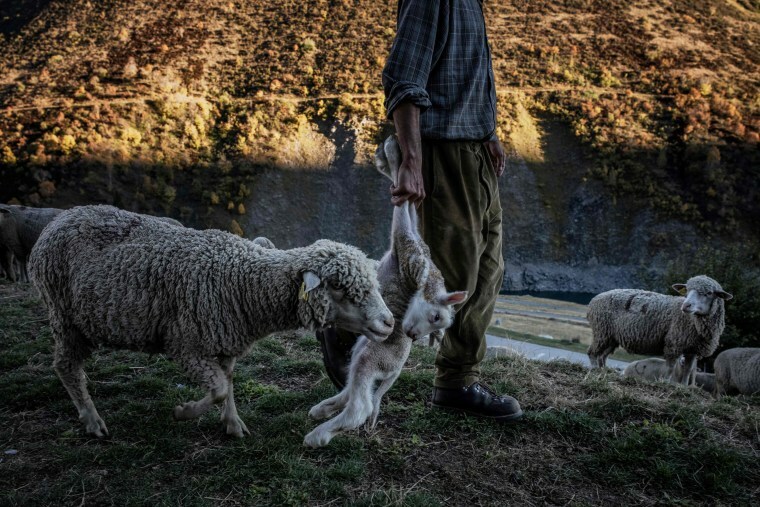 Shepherd Gaetan Meme carries a lamb to help guide its mother to safety in the French Alps on Oct. 13. Meme shepherds a flock of 1,300 sheep in the Alpine pastures from June to October. 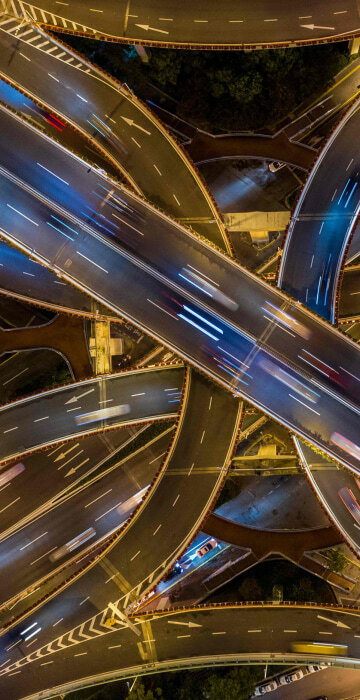 Photo made available on Nov. 14. 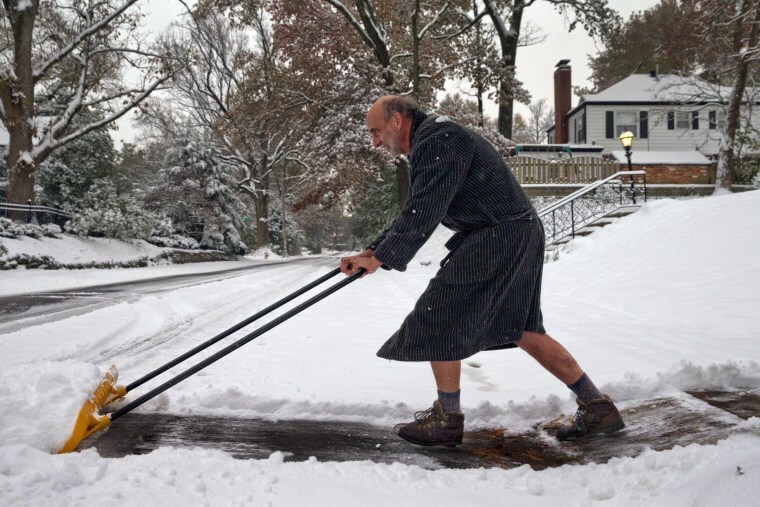 Richard Burst clears snow from his driveway in St. Louis on Nov. 15. Hundreds of schools in the central U.S. closed Thursday morning, with as much as 8 inches blanketing the St. Louis area by the early afternoon. 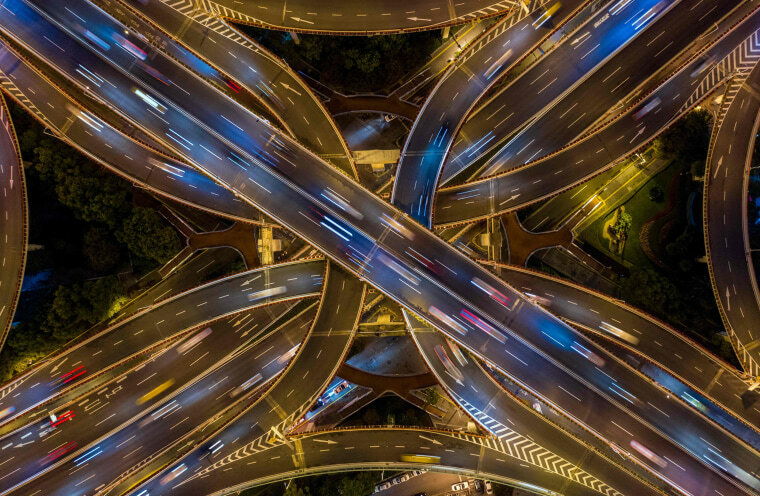 Traffic on an elevated intersection in downtown Shanghai on Nov. 12. 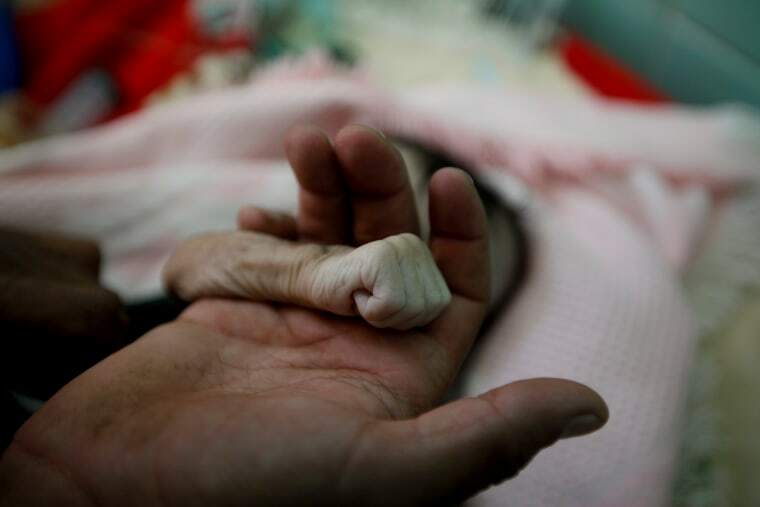 Fouad al-Reme, a nurse in al-Sabeen hospital, said Hajar was conscious when she came to the hospital but she suffered low oxygen levels. "She was like skin on bones, her body was emaciated," he said. 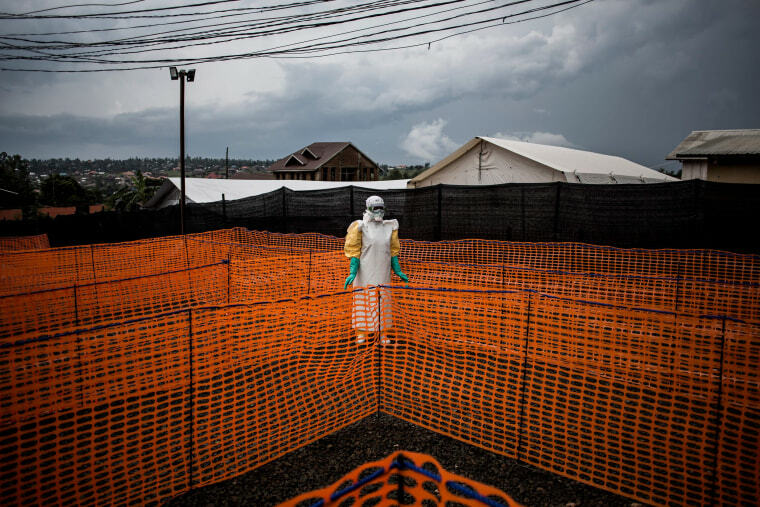 A health worker waits to handle a new unconfirmed Ebola patient at a newly built MSF (Doctors Without Borders) supported Ebola treatment center in Bunia, Democratic Republic of the Congo, on Nov. 7. The death toll from an Ebola outbreak in eastern Congo has risen to more than 200, the health ministry said on Nov. 10. Photo made available on Nov. 12. 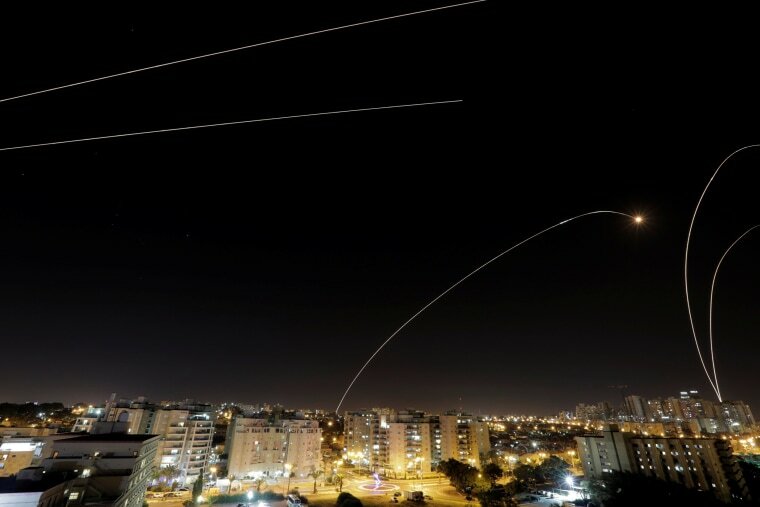 An Iron Dome anti-missile fires near the Israeli side of the Israel-Gaza border in Ashkelon on Nov. 12. Israel has fought three wars in Gaza in the last decade and fears are growing that a new one is on the way. 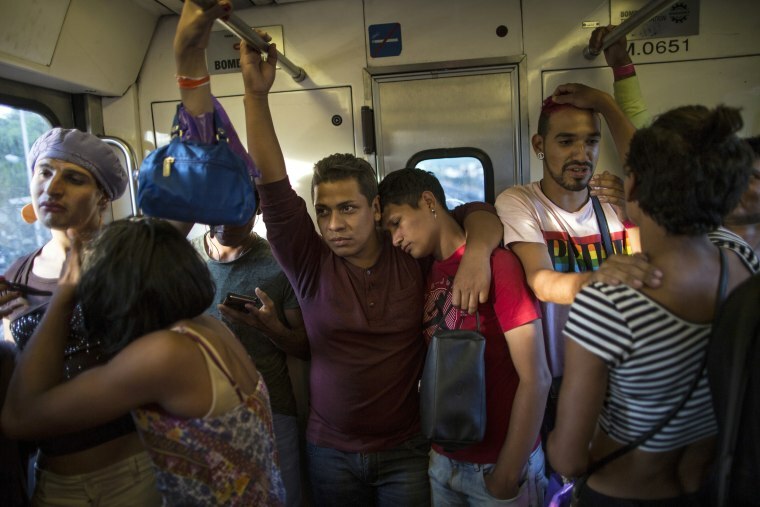 A group of transgender women and gay men ride a subway into Mexico City while traveling with the migrant caravan on Nov. 8. Dozens of transgender women and gay men in the caravan have banded together for protection — not from the uncertainty of a journey fraught with danger from the gangs who prey on migrants, but from their fellow travelers. 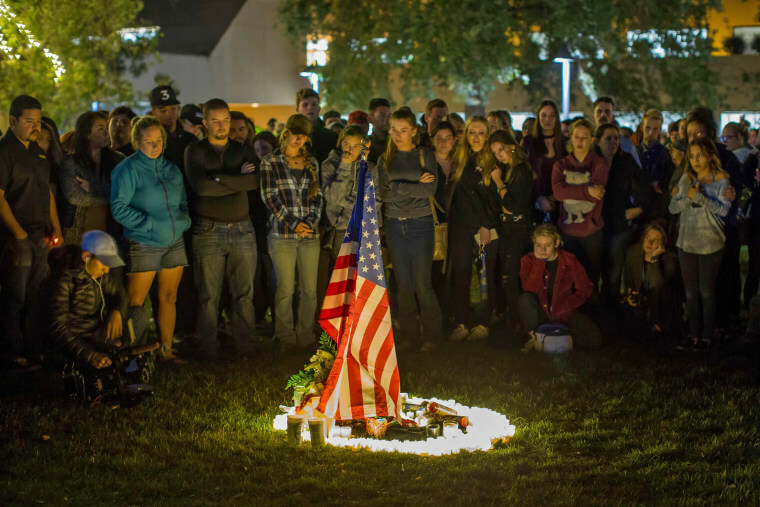 A vigil pays tribute to the victims of a shooting in Thousand Oaks, California, on Nov. 8. A Marine veteran clad in black and armed with a .45-caliber Glock handgun shot his way into a Southern California bar crowded with college students and unleashed hell before turning the gun on himself, officials said. When it was over, 12 others, including a sheriff's sergeant who tried to stop the carnage, were also dead and many more were wounded. 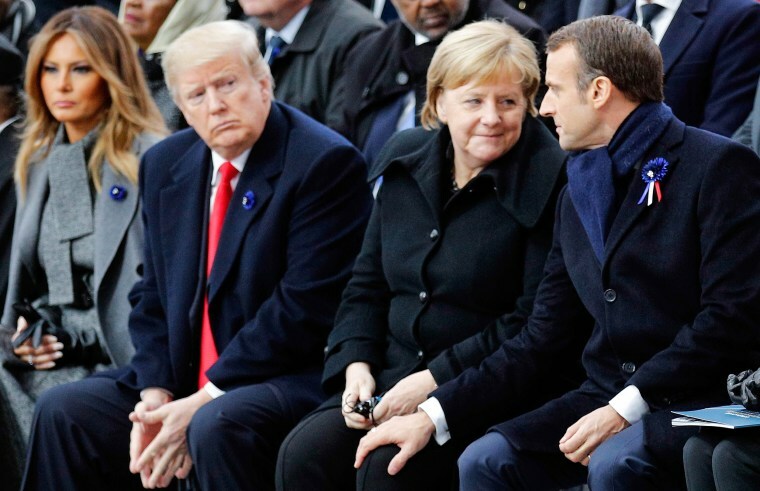 French President Emmanuel Macron speaks with German Chancellor Angela Merkel as they sit next to President Donald Trump and first lady Melania during a ceremony at the Arc de Triomphe in Paris on Nov. 11. Commemorations marked the 100th anniversary of the 1918 armistice that ended World War I. The sun is obscured by smoke as flames close in on a house at the Woolsey Fire in Malibu, California, on Nov. 9. 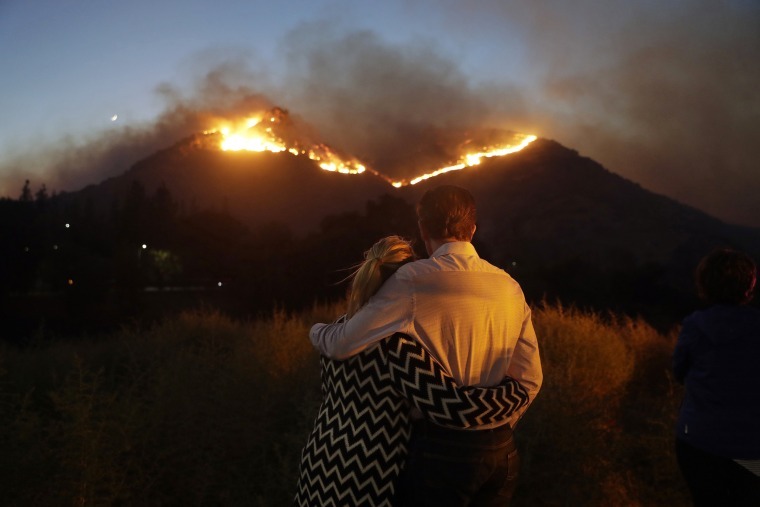 Roger Bloxberg and his wife, Anne, look toward a wildfire on a hill top near their home in West Hills, California, on Nov. 9. 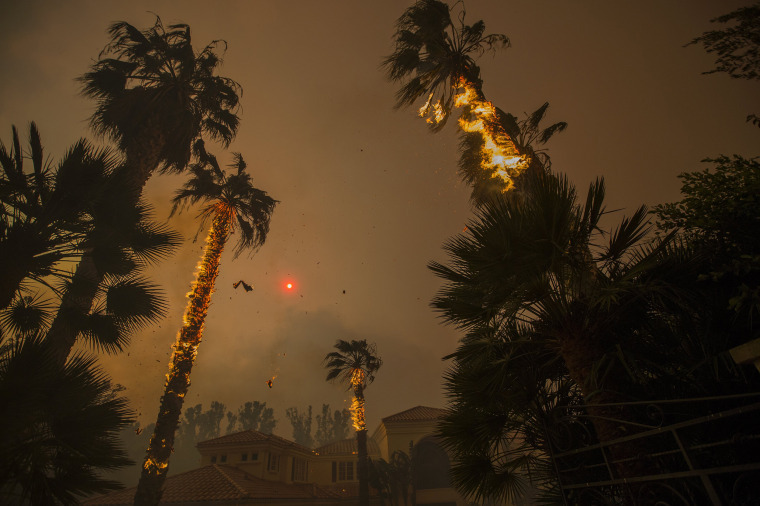 At its height, the Woolsey fire forced the evacuation of more than 265,000 people in Los Angeles and Ventura counties.